Last updated by Frankye at October 30, 2013 . School Administrator save on discount school supply orders at OnTimeSupplies.com. Another school year, another round of budget cuts. Like everyone else in this economy, school administrators have to do more with less. Luckily OnTimeSupplies.com is here to help with discounted bulk pricing on more school items than ever before. You can save up to 60% when your order in bulk. And, since OnTimeSupplies.com ships discount school supply orders in just 1-2 days, you save money and time. See the most extensive discount school supply selection online. and more. Check out their discount school supply selection today. Shop the best discount school supply site for great deals AND excellent customer service. 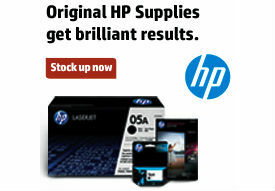 Get the most for your budget at OnTimeSupplies.com today. Survive the office air conditioner war: what to do when the indoor temperature is too cold to work. The dog days of summer are here. It’s feels like it’s 105° outside, but about 30° in your office. Here are 5 tips that will keep you from freezing to death under the office air conditioner. 1. Dress for the cool temperature of your office, not the weather outside. When you’re on the loosing side of the office air conditioner wars, it’s important to for the office, instead of the hot summer weather outside. That way, you won’t freeze to death under an AC unit cranked up to 11. Keep a comfy scarf or sweater in your office, and dress in easy-to-remove layers. However, you don’t want your work area to look like the inside of teenager’s closet, so hang the extra clothing on inexpensive coat hooks. 2. Have a nice cup of tea. Nothing wards off the chill of the AC like a hot cup of tea. Plus, tea boosts the immune system. Drink up and avoid your yearly summer cold. A cold office is especially rough on people with sedentary jobs. If you sit at a computer all day, get up and walk around a few times a day to warm up your muscles. 4. Get a space heater. If the quick and easy remedies don’t provide any relief, it may be worth it to invest in a space heater if your office allows them. There are tons of energy-efficient space heaters on the market today that are small enough to fit under your desk. Check out the electric space heater guide at OnTimeSupplies.com for tips on choosing the best heater for your office. 5. Use a desk fan. Maybe you’ve got the opposite problem. Maybe your office manager is immune to charm, bribery and the unsightly sweat stains on your shirt, and just won’t turn the thermostat down and the air conditioner up. Time to invest in a desk fan. Today’s options are powerful, quiet and inexpensive. If you have any tips on surviving the summer office air conditioner wars, we want to hear them! Leave your suggestions in the comments or connect with us on Facebook. Sharpie Permanent Marker Stain Removal Guide: how to remove ink stains from leather. Summer is upon us, as is swim team season. Right before swim team events, I use a Sharpie permanent marker to write my kids names on their backs and arms — as well as the obligatory “eat my bubbles.” Then one last spray with sunscreen to protect my kids delicate skin from the harsh rays!! We get to the swim meet and I notice my once near new leather car seats are now marked with Sharpie permanent marker ink – “eat my bubbles” permanently stamped on my nice leather seats. Solution – spray on sunscreen!!! 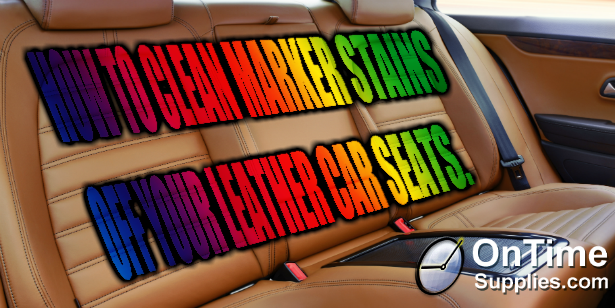 Remove ink stains from leather car seats like MAGIC! Thanks Shari! I’m thinking sunscreen will work to remove ink stains from plastic and vinyl too. The next time you need to remove an ink stain, remember our Stain Removal Guide and use sunscreen!